Status: AVAILABLE. It can be requested at any time of the year. Recipients: People with mortgage debts due to unforeseen circumstances. Emergency aid for mortgage payment is intended to help people who have missed mortgage payments due to unforeseen circumstances. This aid is intended for people living in Barcelona who have a mortgage for a home that is their habitual residence. Prevent repercussions due to mortgage non-payment, making it possible for the applicant and the members of his/her household to continue living in the home. Prevent social exclusion as a consequence of the loss of housing. In the mortgage payment records, if the applicant leaves or loses the home judicially during the processing of this aid, the aid will be denied as the home will cease to be the applicant’s habitual and permanent residence. In cases where the home is lost as the result of a judicial proceeding, specific aid for the loss of housing may be requested. What do you need to know to apply for this aid? Read this section to find out about the aid requirements and avoid the risk of losing your home. 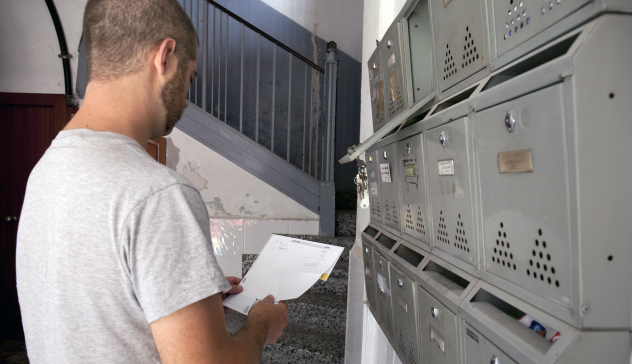 Requests for emergency aid for mortgage payments can be presented all year at any Housing Office of Barcelona. These are non-refundable benefits that are granted to people who have incurred mortgage debts due to unforeseen circumstances. The applicant must have mortgage debts due to unforeseen circumstances. The combined income in the household of the applicant at the time of submitting the application cannot exceed 2 times the weighted Adequate Income Indicator of Catalonia (IRSC, in its Catalan acronym) for a single person household; 2.5 times the weighted IRSC for households of two or more members; or 3 times the weighted IRSC for persons with disabilities or a high degree of dependence (more information presented in the table). The home must be used as the habitual and permanent residence of the applicant, and must constitute his or her domicile according to the municipal register. Neither the applicant nor any other member of the household can own any home other than that for which the aid is being requested. The applicant must be the holder of a mortgage for the home that is his/her habitual and permanent residence. The mortgage payments must have been made for at least the 12 months prior to the request for aid. The amount of the mortgage payments that the applicant must pay cannot exceed 900 euros per month. The amount of aid requested must be sufficient to settle the existing debt and the applicant must be able to continue paying the mortgage from the moment the application is submitted. If, while processing the application, debt continues to accumulate, social services can propose an increase of the requested amount through a new socioeconomic report to justify the increase. 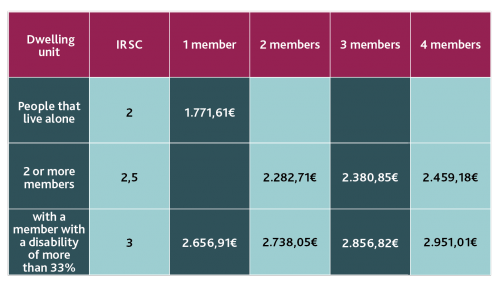 The proposed increase will be assessed and, if appropriate, may be resolved favourably provided that the total amount of the aid does not exceed the maximum amount of 3,000 euros per year. The applicant must prove sufficient income to be able to make the mortgage payments (it must be at least equal to the amount of the mortgage payments). Homes from the public and private housing market are eligible for the aid. Homes managed or administered by the Housing Agency of Catalonia and people who have been offered access to a home from the Barcelona Rented Housing Pool and have not accepted it, except for justified reasons, are not eligible. Certified photocopy of the deed of the home. Certificate of the crediting entity stating the name of the owner, the mortgaged property, the date when the mortgage loan was formalised, and the details of the missed payments. Certified photocopy of the documentation regarding the foreclosure process, in the event that it has been initiated, and proof of having requested the benefit of free legal aid. The identity document (DNI) of the applicant and of all members of the household. The tax (IRPF) declaration of the applicant and of all people of working age in the household. Aid for mortgage payment: the amount is fixed in accordance with the credited debt. The maximum total amount is 3,000 euros and the aid can be granted for a maximum period of 12 months. This aid can be requested at any time. Aid for the payment of the rent as provided by Law 18/2007, of December 28, of the right to housing, when the object is the same monthly payment. When the aid is applied to different monthly payments, the sum of the amounts to be received in the same calendar year cannot exceed 3,000 euros. Obtaining subventions for the payment of rent as provided by the Agreement of July 22, 2014, between the Ministry of Development and the Government of Catalonia for the execution of aid lines from 2013 to 2016.